Do you have anything to clean boat carpet? Or what do you recommend? 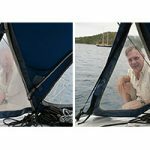 Aurora Boat Clean Plus does a great job. It will remove ground in dirt, oil, grease, coffee stains, red wine stains, pet urine, mould, mildew, food stains, gum, bird droppings, ink, and more. It’s non-corrosive so it won’t damage the carpet and it’s biodegradable. If your carpet is removable, take it out and put it on the dock. 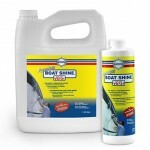 Pre-spot any obvious stains by spraying Boat Clean Plus full strength on the stains. Wet it with a hose. Spray on the Boat Clean Plus and scrub it with a deck brush. Rinse well with a hose an let it dry in the sun. Your carpet will look new again and smell fresh!